About a third of us have a genetic malfunction which disables our ability to regulate nicotine consumption. 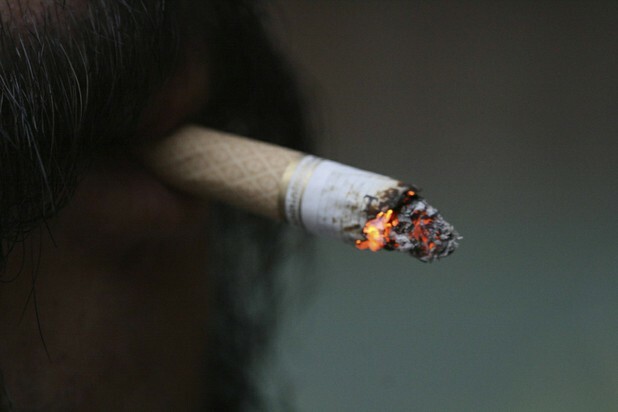 Those of us with this particular genetic abnormality are at a greatly increased risk of nicotine addiction. Scientists working at the Scripps Research Institute in Florida are studying a pathway to brain cell receptors that regulates nicotine consumption. They say that between 30 and 35% of people have a malfunction within a gene called CHRNA5 and that medications targeting the activity of this gene might work well to help people stop smoking. Animal model studies show that CHRNA5 regulates the operation of receptors in the brain which are activated by nicotine neurotransmitters. When CHRNA5 is working to control nicotine intake properly, consuming more than a very small amount of nicotine produces aversive feelings – feelings of disgust at the thought of further nicotine intake; and this disgust helps to limit how much a person consumes and thereby the likelihood a person would become addicted to nicotine deliver systems, like cigarettes. When CHRNA5 doesn’t work as it’s supposed to (as in between 30% and 35% of all people) consuming nicotine results in little aversive stimuli – only in positive sensations. People with defective CHRNA5 genes get all of the good feelings from nicotine intake, and little of the bad, and because of this - these people are at far greater risk to develop nicotine addictions. Rats with functioning CHRNA5 receptors consumed small quantities of nicotine, experienced aversion and limited their intake. Rats with genetically altered CHRNA5 receptors felt no aversion and consumed large quantities of nicotine. Having a malfunctioning CHRNA5 seems to greatly increase your chances of becoming a nicotine addict, and if either or both of your parents smoke, you may well have inherited that genetic liability yourself! You use less or no nicotine! The National Institute of Health will provide $8.2 million dollars to the Scripps researchers over the next 5 years to aid in the research and the work towards an effective medication for an addiction that kills 5 million Americans per year.